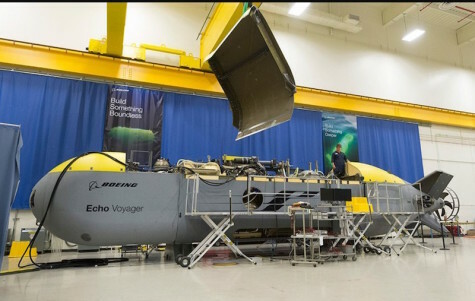 The Boeing Co., Huntington Beach, California, is awarded a $46,700,000 fixed-priced-incentive modification to previously awarded contract N00024-17-C-6307 for the Orca Extra Large Unmanned Undersea Vehicle (XLUUV) program. The Feb. 13, 2019, contract announcement for the XLUUV program occurred while source selection was ongoing, and therefore the specific contract award amount was considered source selection sensitive information and was not made public. This contract modification award completes the XLUUV competition and brings the total awarded amount for five XLUUVs and associated support elements to $274,400,000. Work will be performed in Huntington Beach, California (29 percent); Virginia Beach, Virginia (27 percent); Waukesha, Wisconsin (8 percent); East Aurora, New York (7 percent); Concord, Massachusetts (7 percent); Camden, New Jersey (5 percent); Smithfield, Pennsylvania (4 percent); Attleboro, Massachusetts (3 percent); City of Industry, California (3 percent); El Cajon, California (3 percent); Fairfield, New Jersey (2 percent); Ontario, California (1 percent); and Farmingdale, New York (1 percent), and is expected to be completed by December 2022. Fiscal 2019 research, development, test, and evaluation (Navy) funds in the amount of $9,000,000 will be obligated at time of award and will not expire at the end of the current fiscal year.